/ Modified jul 21, 2015 11:15 a.m.
A welcome to new American citizens from around the globe; sharing music and camaraderie in Downtown Tucson; The Rogue Theatre's new look at "The Portrait of Dorian Gray"; and a call to practice paying attention in your own backyard. 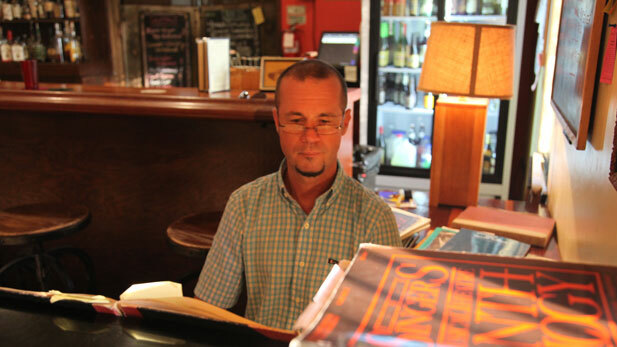 Elliot Jones, PhD, holds a piano bar at The Dusty Monk Pub in downtown Tucson where he enjoys playing for singers. ARIZONA SPOTLIGHT airs every Friday at 8:30 am and 6:00 pm, and every Saturday at 5:00 pm, on NPR 89.1 FM / 1550 AM. Stories are also available online at AZPM.org. ARIZONA SPOTLIGHT is also now available as a podcast on iTunes!